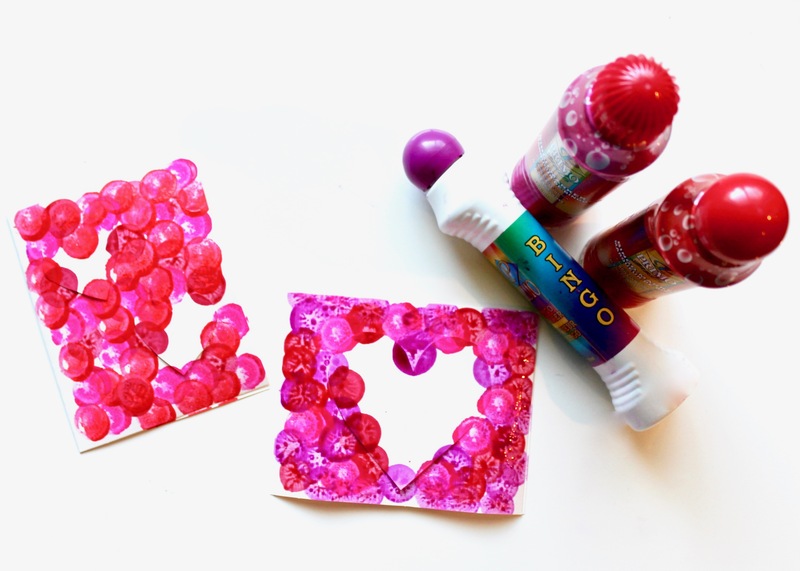 I don’t know about yours, but my kids love making use of the bingo daubers that you can find at the dollar store. 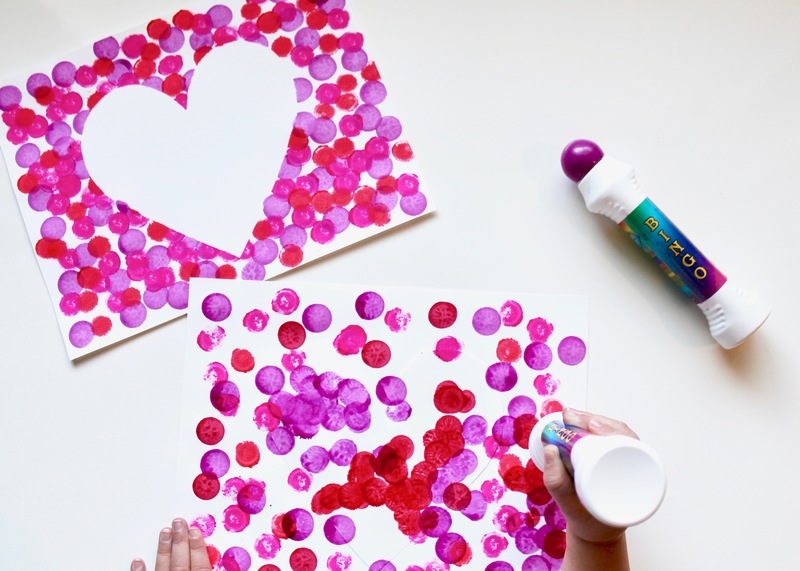 With an array of colors, they love stamping them on paper to create images or patterns. 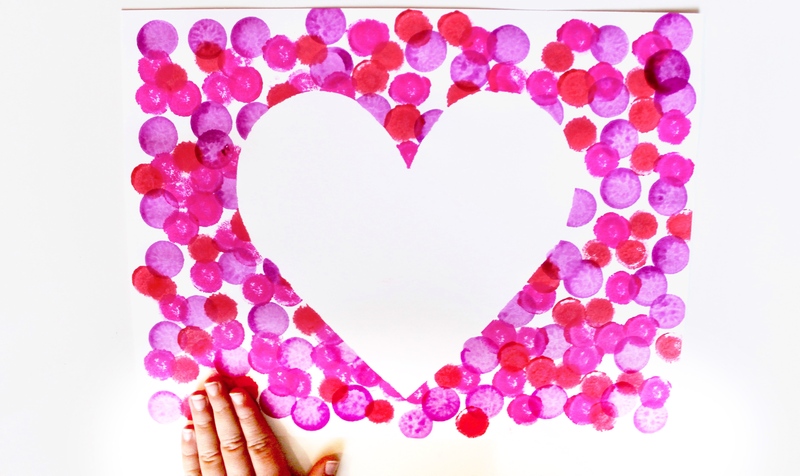 With Valentine’s Day around the corner, I thought we could use the daubers to create colorful heart shapes. 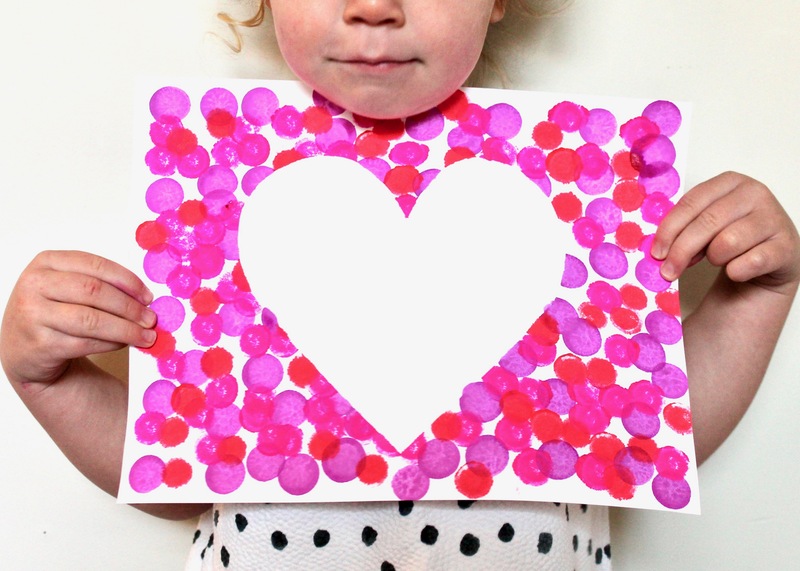 Cut out a large heart from cardstock. You can either create your own or use the template I listed below. Take a small amount of painters tape and adhere to it to the back of the shape. 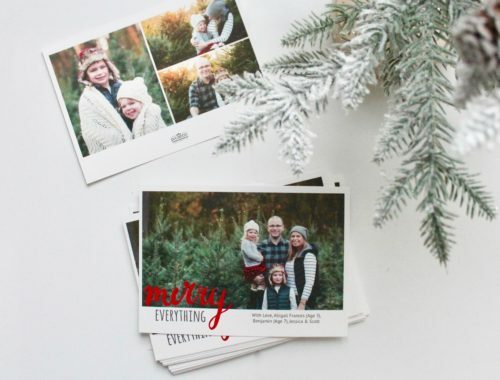 Place the heart on another piece of blank cardstock. 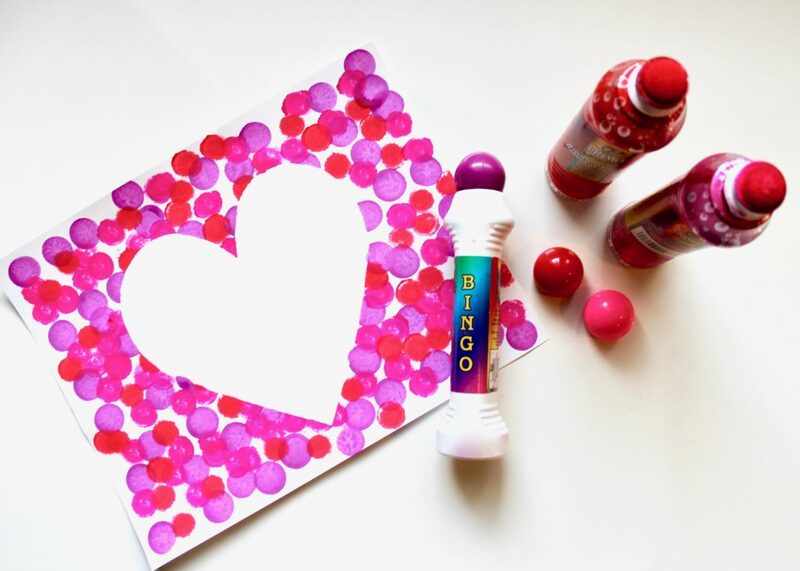 With the bingo daubers in hand, have the child cover the page with colored spots. 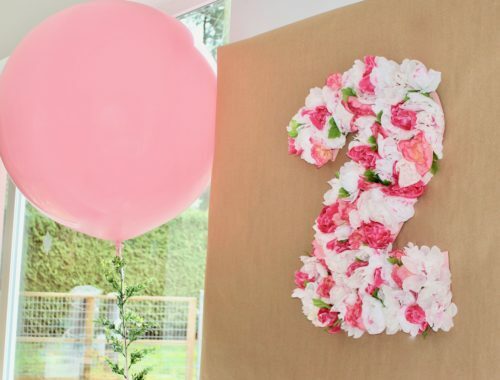 Take turns using different colors over the white space. Let the dauber ink dry. 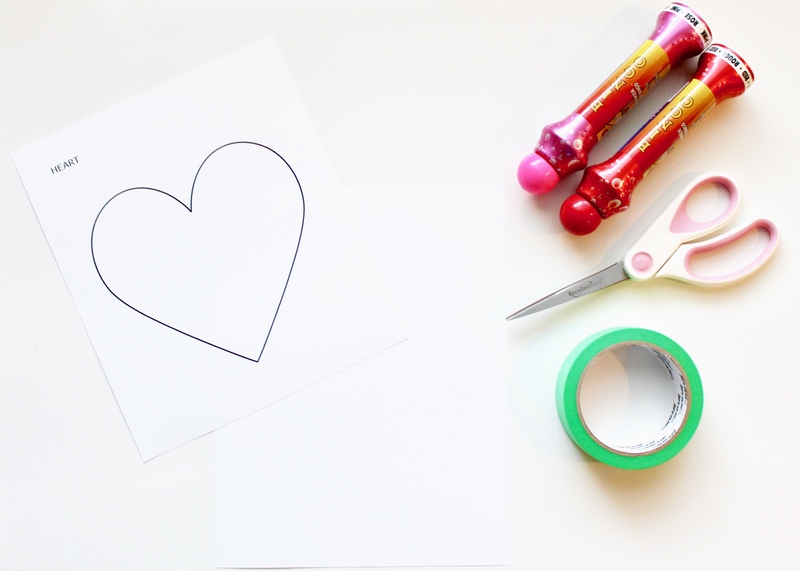 Once it has dried, gently remove the heart and tape from the page. Enjoy the beautiful heart outline that remains. Note there are a couple variations of the final piece. 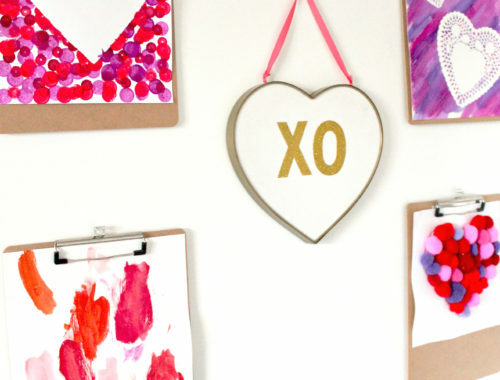 Once the heart is removed, you can glue it to a piece of colored cardstock for yet another piece of art. 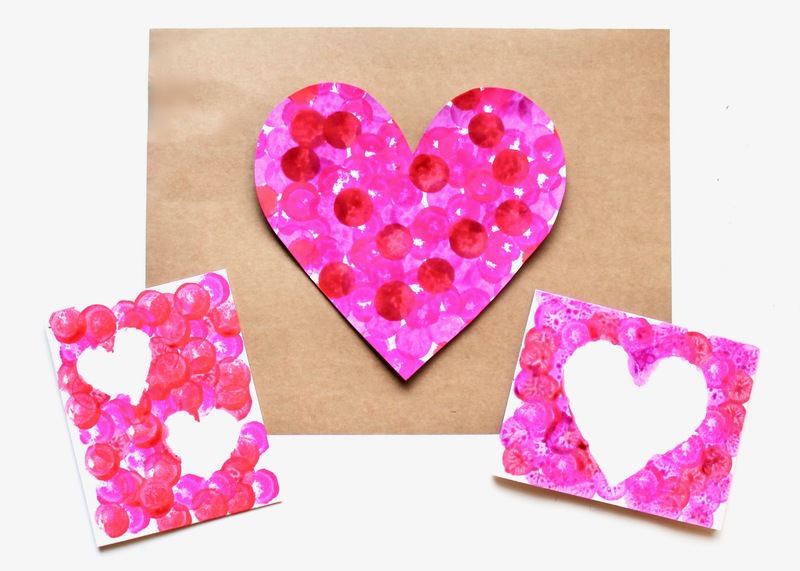 Or you can make your own mini valentines, cutting out smaller hearts, placing them on cards, and stamping over top. 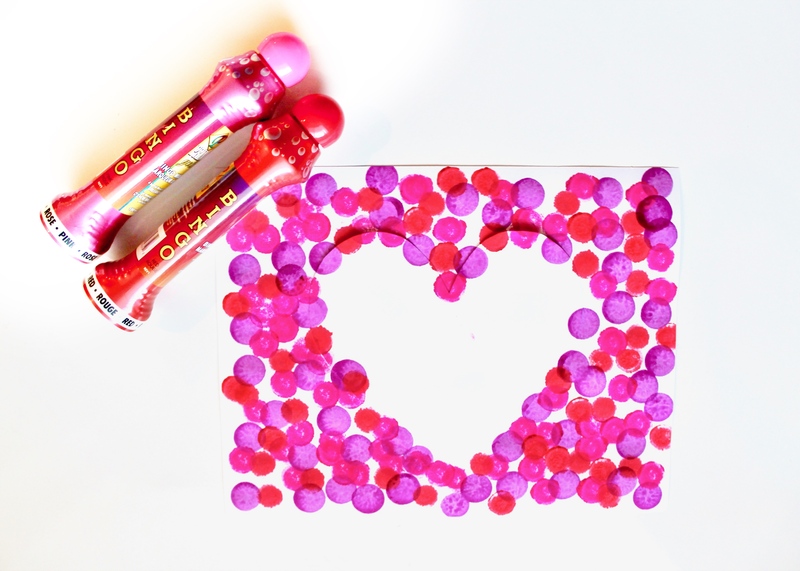 All are great options to give to grandparents, teachers, or friends for Valentine’s Day–or just because! Terrific write-up. I’ve shared this on my twitter and fb.